This Event has been rescheduled to December 20th. 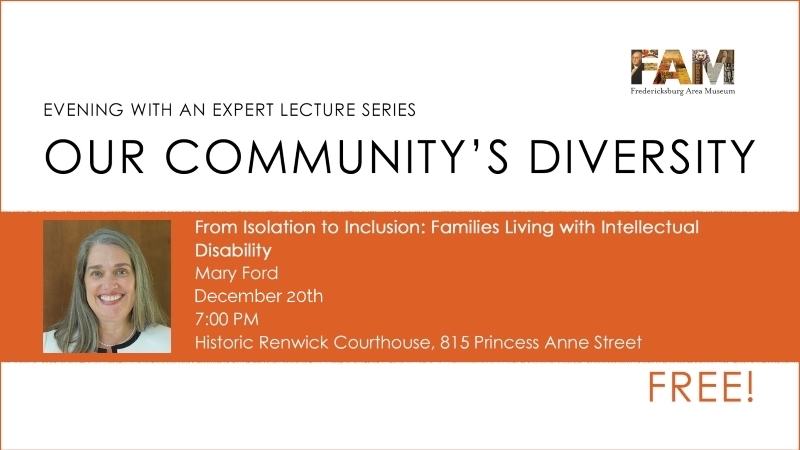 Mary will give a brief history of how early programs intended to educate and train individuals with Intellectual and Developmental Disabilities (IDD) had the unintended consequence of isolating them from their families and communities. She will describe how this created the framework for understanding why today’s programs and services focus on inclusion, on reintegrating people with IDD into our schools, neighborhoods, faith communities and increasingly into the workplace. 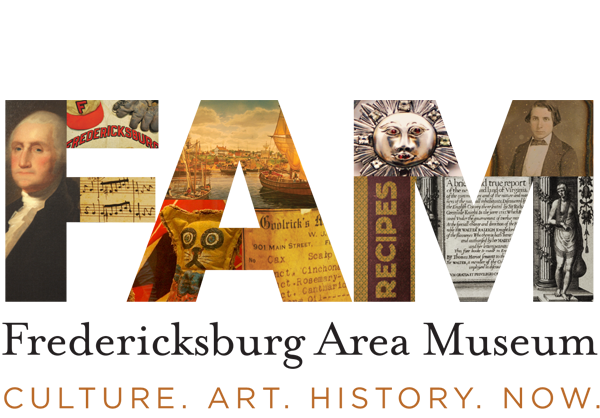 This program will be held at the Renwick Building (previously the Fredericksburg City Renwick Courthouse), 815 Princess Anne Street on December 20th, from 7:00 – 8:30 pm. Evening with An Expert is a FREE program. For additional information on this program, please contact Theresa Cramer, or 540-371-3037, ext. 138.